Feelings often run high where insects are concerned, with many people even squeamish to look on them, let alone touch or swallow them. And yet insects present a huge nutritional opportunity as an increasing global population seeks sustainable sources of food and feed. Insects have generally high levels of animal protein and key micronutrients with lower environmental footprints than traditional alternatives, and they can be raised on leftovers. But cultural, social and economic hurdles remain, reports a review paper published today in Nutrition Bulletin. 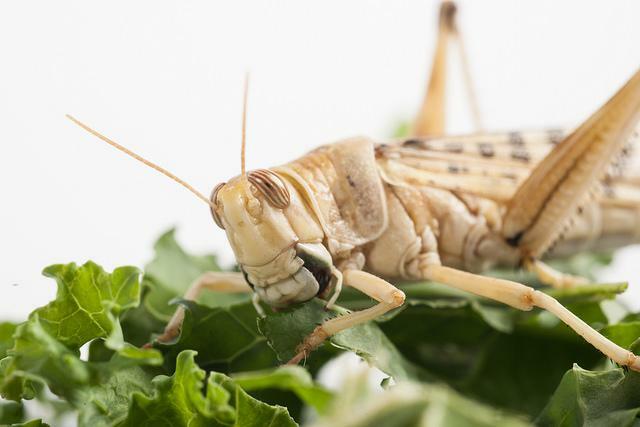 "Insects present a nutritional opportunity, but it is unclear how their nutritional quality is influenced by what they are fed," says Darja Dobermann, a doctoral researcher in entomophagy at the University of Nottingham and Rothamsted Research. "In ideal conditions, insects have a smaller environmental impact than more traditional Western forms of animal protein; less known is how to scale up insect production while maintaining these environmental benefits," she notes. "Studies overall show that insects could make valuable economic and nutritional contributions to the food or feed systems, but there are no clear regulations in place to bring insects into such supply systems without them turning into a more expensive version of poultry for food, or soya for feed," says Dobermann. The review highlights how insects have been a source of food for hundreds or years in more than 100 countries with over 2000 edible species; in central Africa, up to 50% of dietary protein has come from insects, with their market value higher than many alternative sources of animal protein. Insects need to be large enough to make the effort of catching them worthwhile and easy to locate, preferably in predictably large quantities. They are consumed at various life stages, as raw, fried, boiled, roasted or ground food. Popular species for consumption include beetles (Coleoptera, 31%); caterpillars (Lepidoptera, 18%); bees, wasps and ants (Hymenoptera, 14%); grasshoppers, locusts and crickets (Orthoptera, 13%); cicadas, leafhoppers, planthoppers, scale insects and true bugs (Hemiptera, 10%); termites (Isoptera, 3%); dragonflies (Odonata, 3%); and flies (Diptera, 2%). The Biotechnology and Biological Sciences Research Council (BBSRC) provides strategic funding for Rothamsted Research.